Vectors will show up all over the place in our study of physics. Some physical quantities that are represented as vectors are: displacement, velocity, acceleration, force, momentum, and electric and magnetic fields. Since vectors play such a recurring role, it’s important to become comfortable working with them; the purpose of this chapter is to provide you with a mastery of the fundamental vector algebra we’ll use in subsequent chapters. For now, we’ll restrict our study to two-dimensional vectors (that is, ones that lie flat in a plane). A vector is a quantity that involves both magnitude and direction and obeys the commutative law for addition, which we’ll explain in a moment. A quantity that does not involve direction is a scalar. For example, the quantity 55 miles per hour is a scalar, while the quantity 55 miles per hour to the north is a vector. Other examples of scalars include: mass, work, energy, power, temperature, and electric charge. In textbooks, you’ll usually see one of the first two, but when it’s handwritten, you’ll see the last one. 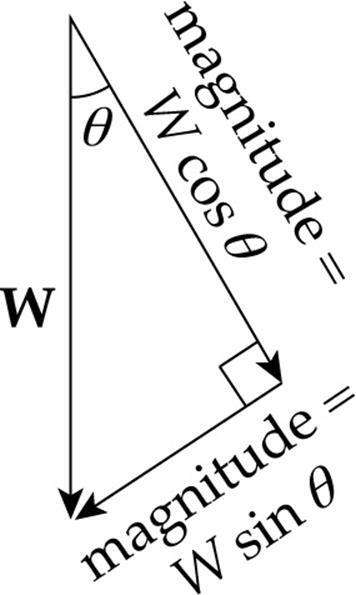 The figure above illustrates how vectors are added to each other geometrically. Place the tail (the initial point) of one vector at the tip of the other vector, then connect the exposed tail to the exposed tip. The vector formed is the sum of the first two. This is called the “tip-to-tail” method of vector addition. Keep in mind that when you multiply a vector times a scalar of k, the vector becomes k times longer. 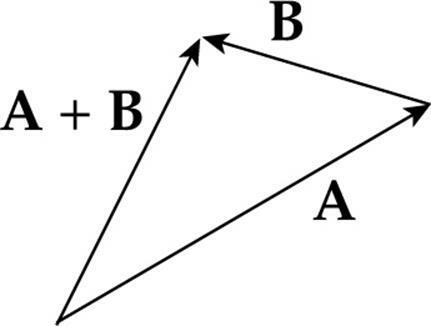 Example 3 For the two vectors A and B, find the vector A – B. It is important to know that vector subtraction is not commutative: you must perform the subtraction in the order stated in the problem. The horizontal vector is always considered a scalar multiple of what’s called the horizontal basis vector, i, and the vertical vector is a scalar multiple of the vertical basis vector, j. Both of these special vectors have a magnitude of 1, and for this reason, they’re called unit vectors. 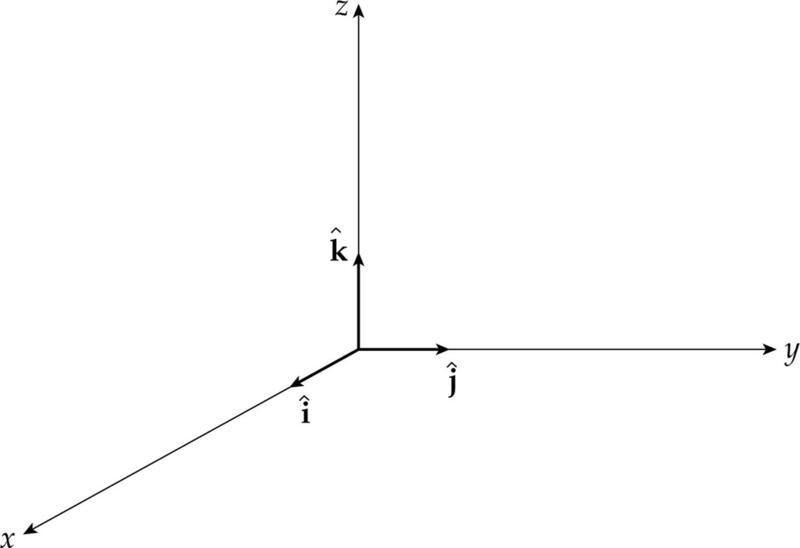 Unit vectors are often represented by placing a hat (caret) over the vector; for example, the unit vectors i and j are sometimes denoted and , or and . For instance, the vector A in the figure below is the sum of the horizontal vector B = 3 and the vertical vector C = 4 . The vectors B and C are called the vector components of A, and the scalar multiples of and which give A—in this case, 3 and 4—are called the scalar components of A. So vector A can be written as the sum Ax + Ay , where Ax and Ay are the scalar components of A. 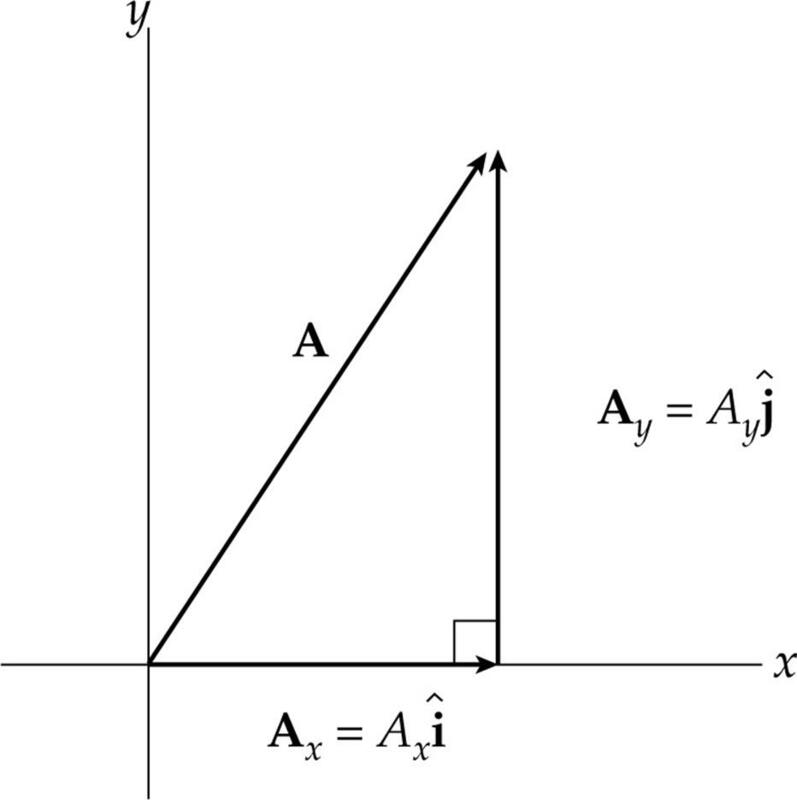 The componentAx is called the horizontal scalar component of A, and Ay is called the vertical scalar component of A. The use of components makes the vector operations of addition, subtraction, and scalar multiplication pretty straightforward. Example 4 If A = 2 – 3 and B = –4 + 2 , compute each of the following vectors: A + B, A – B, 2A, and A + 3B. 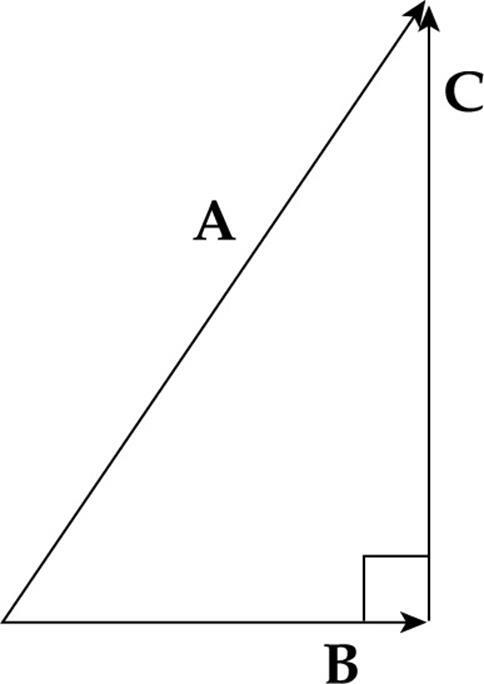 which is the formula for the length of the hypotenuse of a right triangle with sides of lengths Ax and Ay. 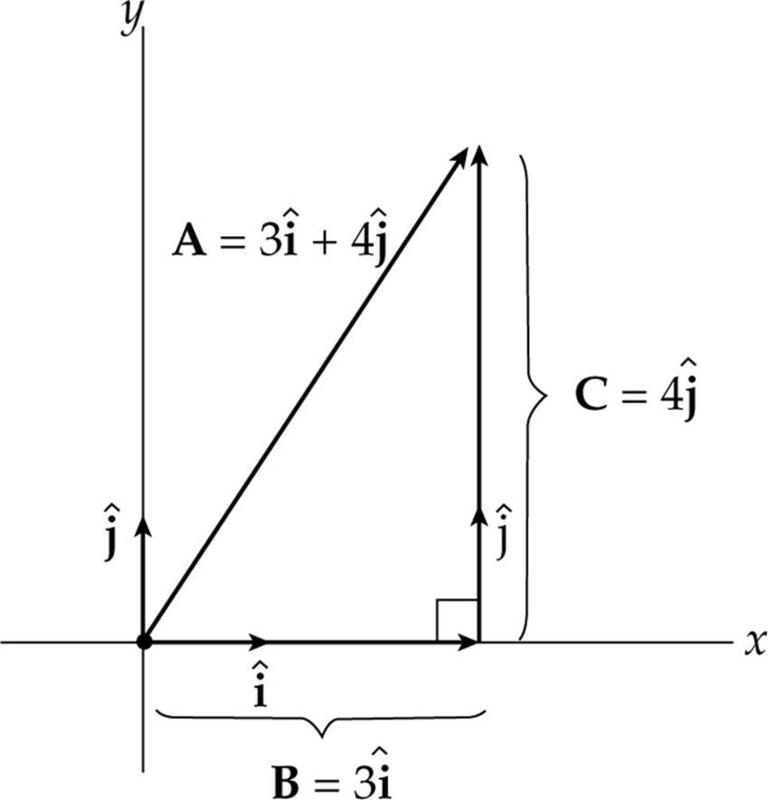 The direction of a vector can be specified by the angle it makes with the positive x-axis. 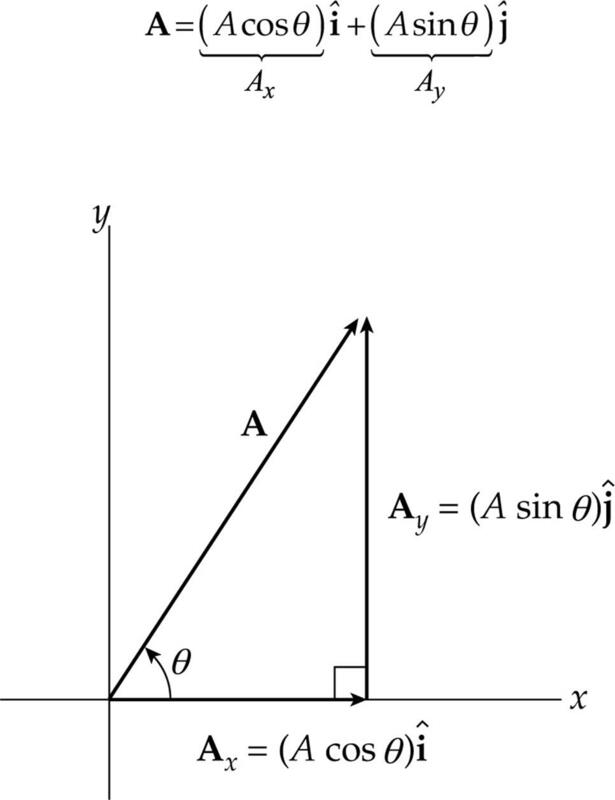 You can sketch the vector and use its components (and an inverse trig function) to determine the angle. 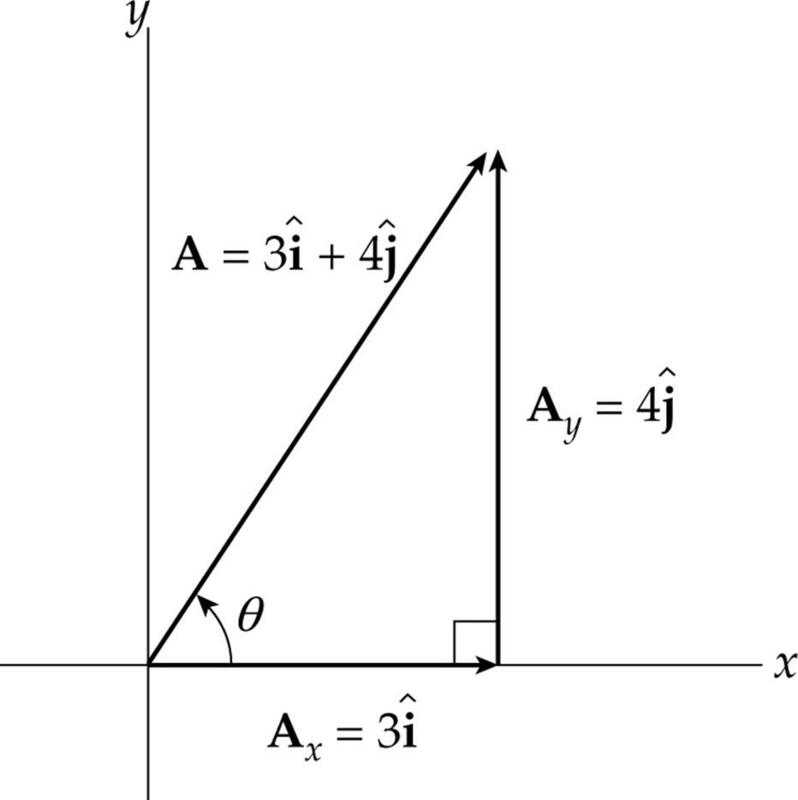 For example, θ if denotes the angle that the vector A = 3 + 4 makes with the +x axis, then tanθ = 4/3, so θ = tan–1(4/3) = 53.1°. Make sure your calculator is in the correct mode, either radian or degree, when using trig functions. If A makes the angle θ with the +x axis, then its x- and y-components are A cos θ and A sin θ, respectively (where A is the magnitude of A). A vector can be multiplied by a scalar to yield another vector, as you saw in Example 2. For instance, we can multiply the vector A by the scalar 2 to get the scalar multiple 2A. The product is a vector that has twice the magnitude and, since the scalar is positive, the same direction as A.
Additionally, we can form a scalar by multiplying two vectors. 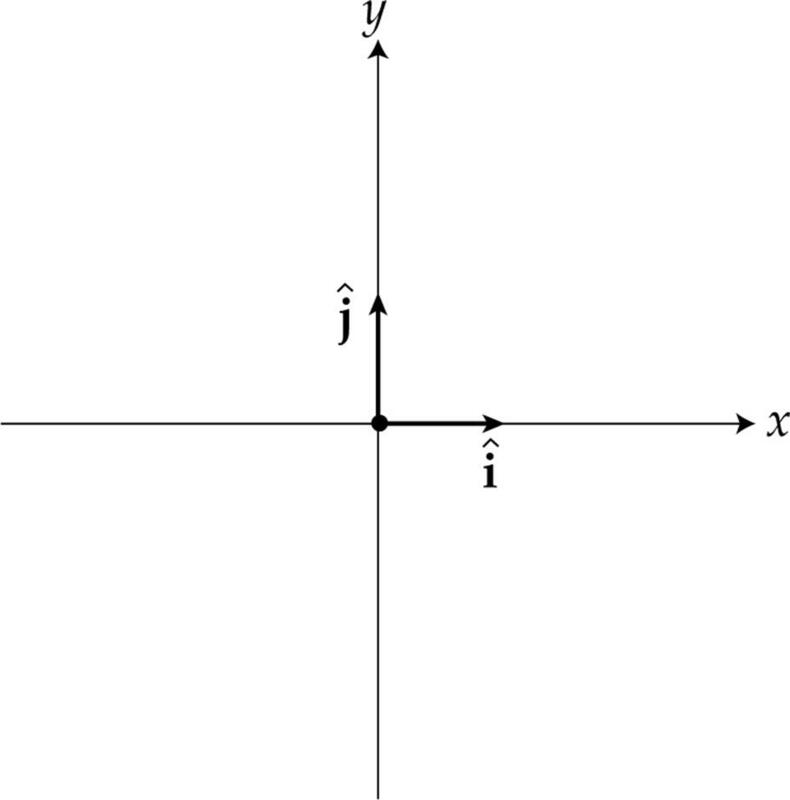 The product of the vectors in this case is called the dot product or the scalar product, since the result is a scalar. Several physical concepts (work, electric and magnetic flux) require that we multiply the magnitude of one vector by the magnitude of the component of the other vector that’s parallel to the first. The dot product was invented specifically for this purpose. 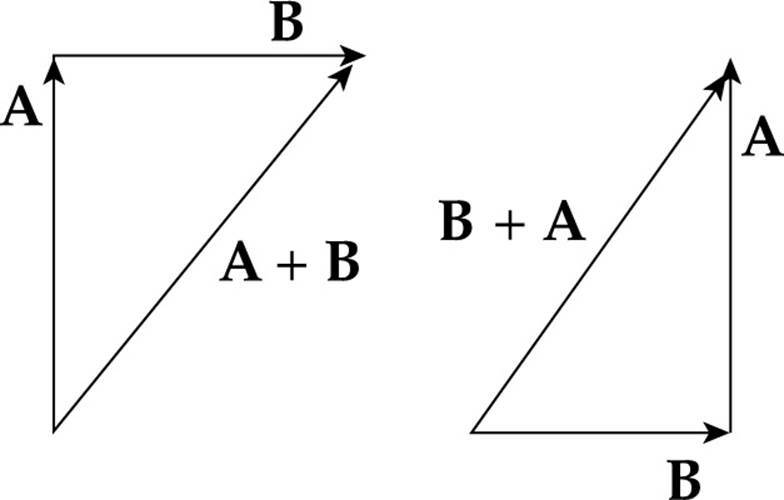 where θ is the angle between A and B. Notice that the dot product of two vectors is a scalar. then the component of one that’s parallel to the other is actually antiparallel (backwards), and this will give the dot product a negative value (because cos θ < 0 if 90° < θ < 180°). This means that, to form the dot product, simply add the product of the scalar x components and the product of the scalar y components. (a) What is the dot product of the unit vectors and ? (b) What is the product of the unit vectors and ? (b) Because and are parallel to each other, their dot product is just the product of the magnitudes, which is 1 • 1 = 1. Example 6 If A= –2 + 4 and B= 6 + By , find the value of By such that the vectors A and B will be perpendicular to each other. Solution. Two vectors are perpendicular to each other if their dot product is zero. The dot product of A and B can be determined as follows: Multiply the scalar x components, (–2)(6) = –12, multiply the scalar y components, (4)(By), and add them: –12 + 4By. Setting this equal to 0, we see that By must equal 3. Some physical concepts (torque, angular momentum, magnetic force) require that we multiply the magnitude of one vector by the magnitude of the component of the other vector that’s perpendicular to the first. The cross product was invented for this specific purpose. 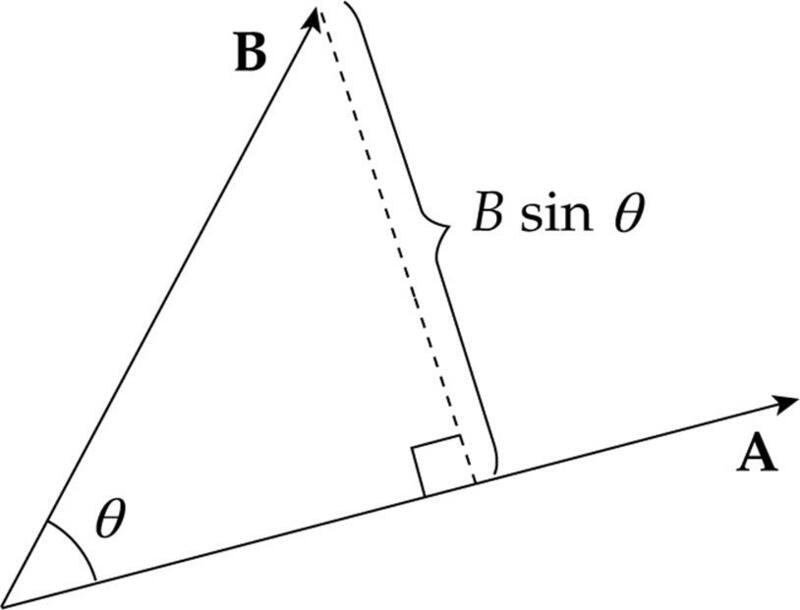 where θ is the angle between A and B (such that 0° ≤ θ ≤ 180°). The equation above gives the magnitude of the cross product. 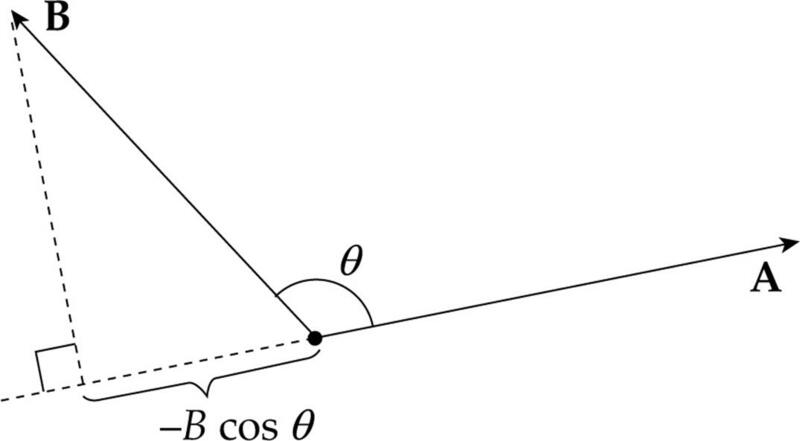 The cross product of two vectors is another vector that’s always perpendicular to both A and B, with its direction determined by a procedure known as the right-hand rule. 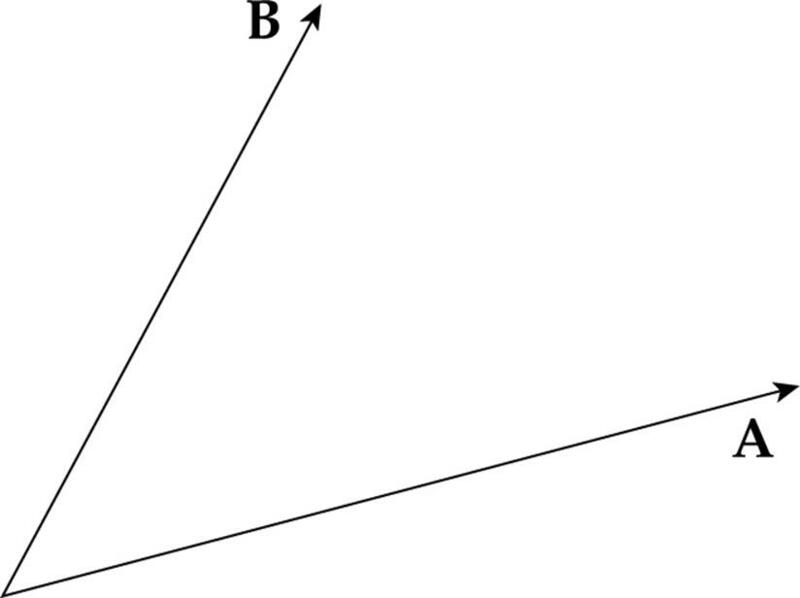 The direction of A × B is perpendicular to the plane that contains A and B, but this leads to an ambiguity, since there are two directions perpendicular to a plane (one on either side; they point in opposite directions). The following description resolves this ambiguity. Make sure you are using your right hand. 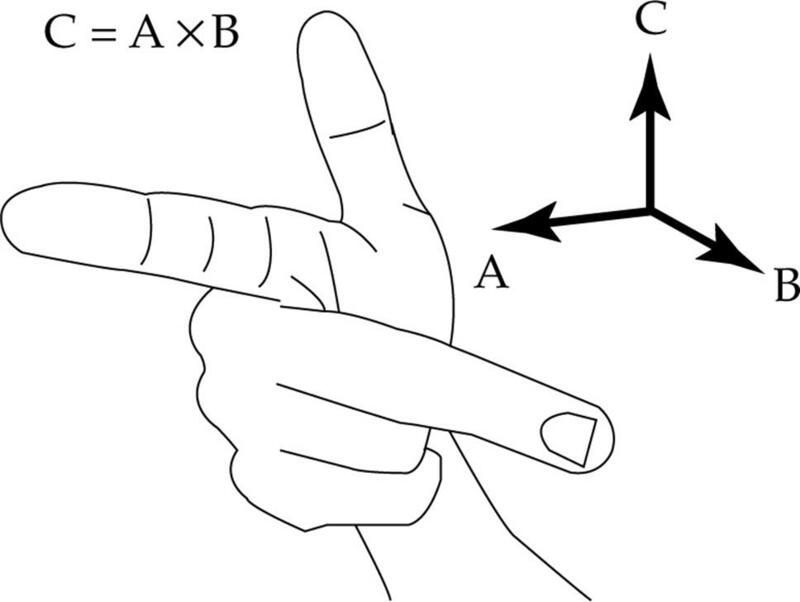 Point your index finger in the direction of the first vector, A, then point your middle finger in the direction of the second vector, B, and your thumb now points in the direction of the cross product, A × B. This is called the right-hand rule. 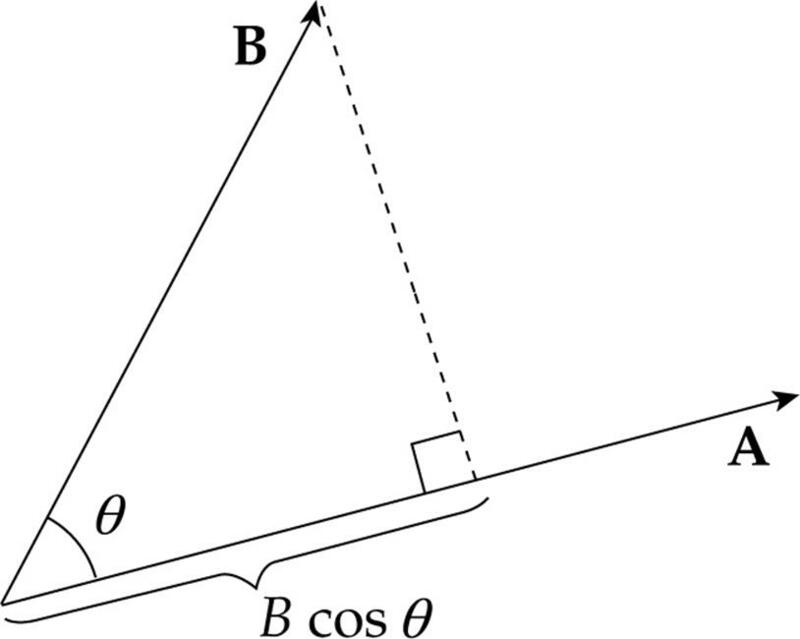 The coordinate axes shown define a right-handed coordinate system, because the directions of the x, y, and z axes obey the right-hand rule. That is, × points in the direction of . In fact, × actually equals , since the magnitude of × is 1. As a right-handed coordinate system, × = and × = . Unlike the dot product, the cross product is not commutative; A × B is not equal to B × A. This is because applying the right-hand rule to determine the direction of B × A would give a vector that points in the direction opposite to that of A × B. Therefore, B × A = –(A × B). This formula requires a lot of memorization. Another method for determining the cross product is to realize that the cross product is the determinant of the following 3 × 3 matrix. By taking the determinant of each 2 × 2 matrix you will realize that you get the same formula as shown above. This may appear to be equally difficult to memorize; however, you can just memorize two facts. Each 2 × 2 matrix is missing the column associated with the basis vector that multiplies it and the terms alternate in sign. Example 7 Calculate the cross product of the vectors A = 2 + 3 and B = – + + 4 , and verify that it’s perpendicular to both A and B.